The star disk of our galaxy turned out to be not flat, as it was considered earlier, but “crooked and bent”. These conclusions were made by scientists from Macquarie University (Australia) and the Chinese Academy of Sciences, making a three-dimensional map of the Milky Way. Researchers point out that this is a rare but not unique phenomenon. The star disk of our galaxy was not flat, but “bent and bent”. These conclusions were made by scientists from Macquarie University (Australia) and the Chinese Academy of Sciences, who were able to make a three-dimensional map of the Milky Way. “We usually present spiral galaxies as completely flat as the Andromeda Nebula, which can be easily seen with a telescope,” said study author Richard de Greens. According to scientists, it’s as difficult to determine the real shape of our galaxy, as "being in Sydney Garden trying to determine the shape of Australia." However, over the past 50 years, evidence has begun to appear that clouds of interstellar hydrogen in the Milky Way are somewhat twisted. Astronomers tried to understand why this is happening. 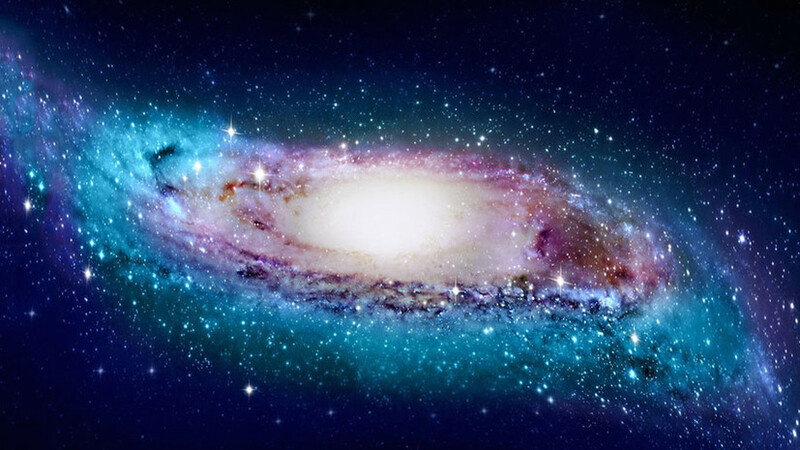 In the process of research, scientists found that in the outer regions of the Milky Way, the force of attraction weakens and the hydrogen atoms that make up most of the gas disk of our galaxy give it an S-shape. In the course of the work, astronomers used data on 1339 large pulsating young stars, each of which is 4–20 times more massive and up to 100 thousand times brighter than the Sun. This information was provided to astronomers by the NASA WISE wide-angle infrared telescope. “It is difficult to determine the distance from the Sun to the outer parts of the gas disk of the Milky Way, without having a clear idea of ​​what this disk actually looks like. However, recently we published a catalog of pulsating variable stars, known as classical Cepheids, for which distances can be determined with an accuracy of 3-5%, ”noted research author Xiaodian Chen. The data obtained allowed astronomers to create the first accurate 3D map of the Milky Way. “We found that in the outer regions of the Milky Way, the S-shaped star disk is curved in the form of a gradually twisting spiral structure,” said de Griss. Scientists have noted that they have seen a dozen other galaxies with similar structures. Therefore, the “curved and curved” disk of the Milky Way is a rare phenomenon, but not unique to our Universe. Pilot on weather phenomena: "Fly through? By no means"
WHO called not to take antibiotics "for prevention"
Since 1961, about 250 destruction of space objects have been recorded in orbit.